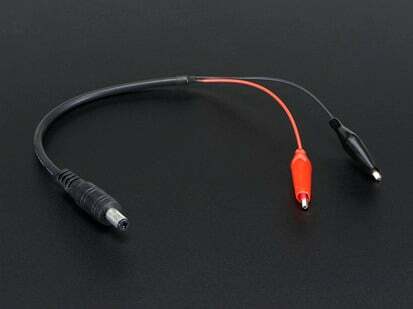 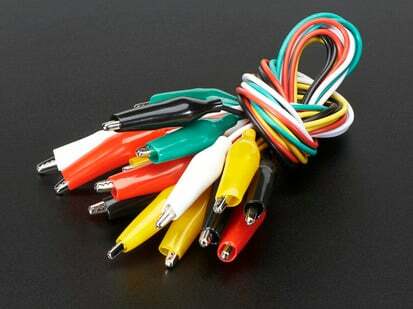 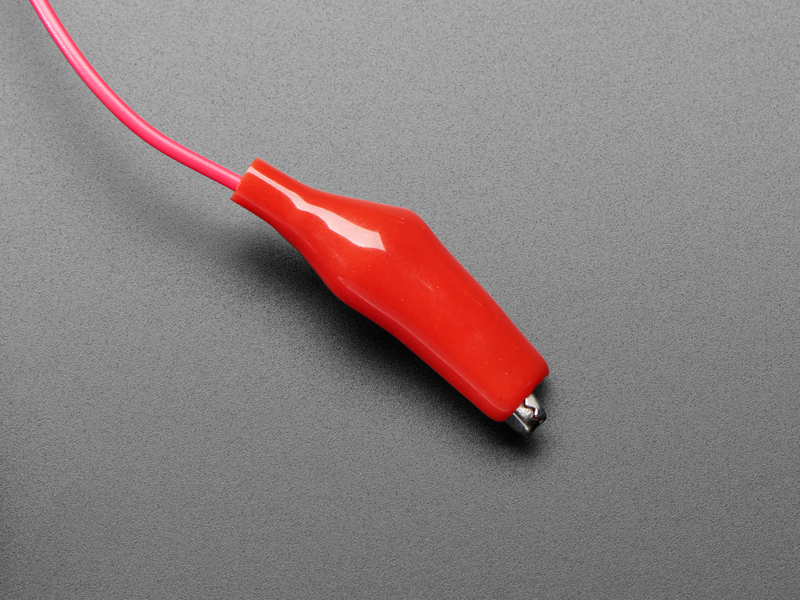 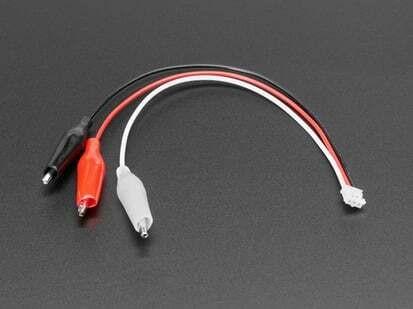 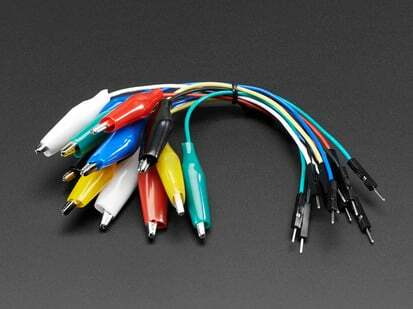 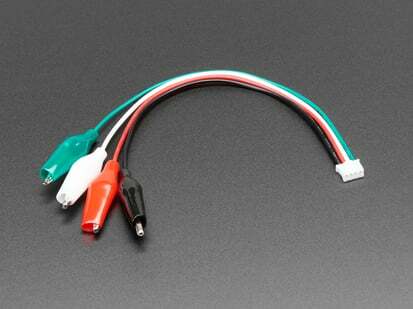 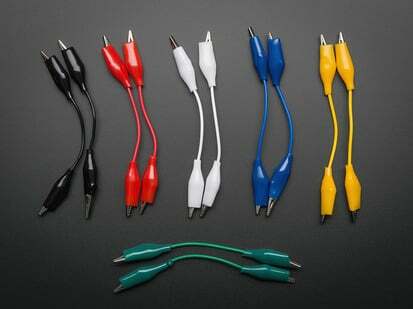 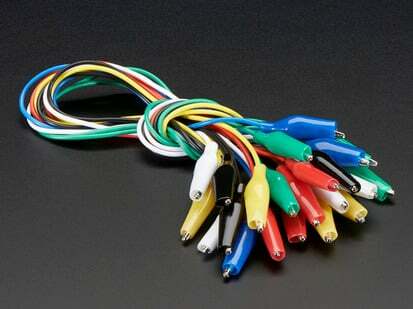 Connect this to that without soldering using these small alligator clip test leads. 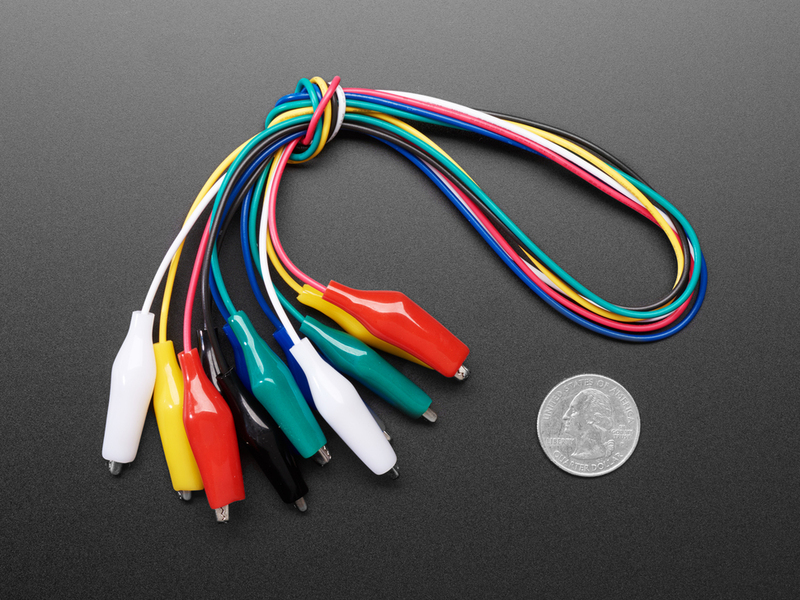 18" long cables with color-coded alligator clips on both ends. 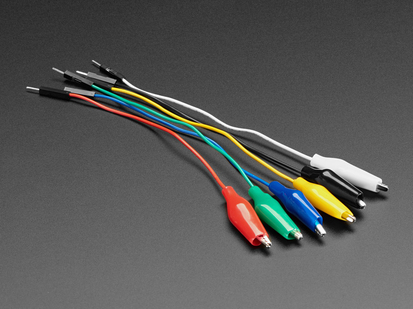 You get 6 pieces in 6 unique colors. 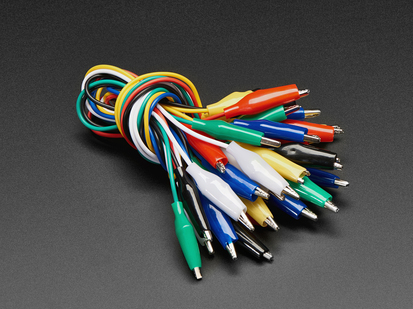 Strong and grippy, these always come in handy! 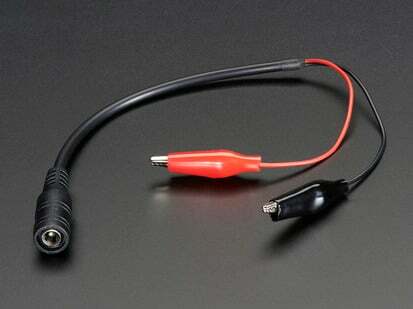 We often use these in conjunction with a multimeter so we don't have to hold the probes in place.